Shanghai Morning Imp. & Exp. Co., Ltd. 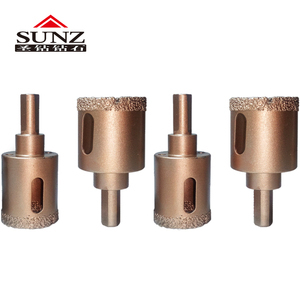 Vacuum brazed diamond hollow core drill bit for marble, granite, ceramics, etc. 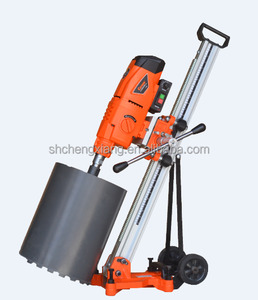 Suzhou Jinhefeng Machines And Tools Co., Ltd.
Hubei Panfeng Diamond Technology Co., Ltd.
Danyang Tongyu Tools Co., Ltd.
* Fast, smooth drilling and long life; * Competitive price * Superior performance and durability. 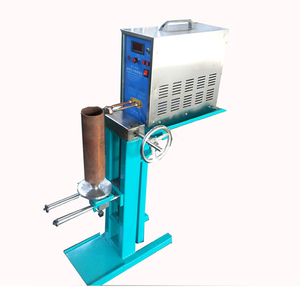 W h at's more, they have received praise with good quality and excellent after-sale service . There will be strict inspection and testing for every order before shipping out. 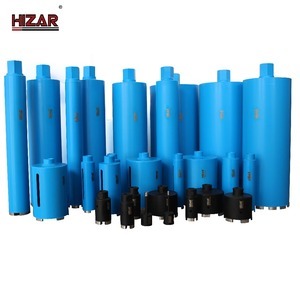 Suzhou Hizar Machinery & Tool Co., Ltd.
7. We can offer our clients good after-sale service and professional technical assistance. Item No. 5. Western Union , MoneyGram : 30% payment in advance and the rest 70% before shipping. 6. Paypal : 30% payment in advance and the rest 70% before shipping,and customer pay 5% bank fees. 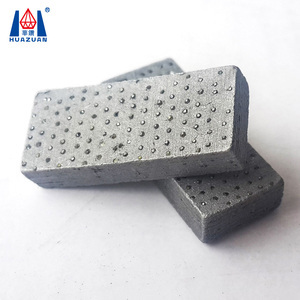 Yongkang Baiying Hardware Tools Co., Ltd.
Guangzhou Anhua Abrasives Co., Ltd.
Shanghai Jiechu Electromechanical Co., Ltd.
Poyang Hui Sen Diamond Tools Co., Ltd.
3) Soft to hard bonds designed for cutting hard to soft materials 4) Sandwich or grooved segment with any shapes for single or multi-blade as required. 5) Reasonably priced with excellent service and consistent quality. We can make all kinds of sizes and quality or price according your requirement. 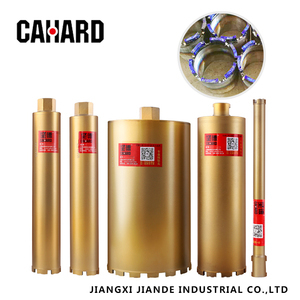 Jiangxi Jiande Industrial Co., Ltd.
Shanghai Shengzuan Diamond Co., Ltd.
5. 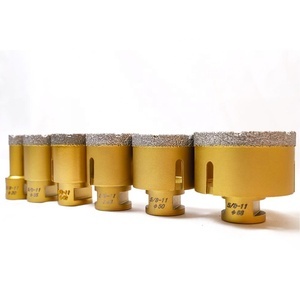 We can also make wet core drill bits for concrete and reinforced concrete. 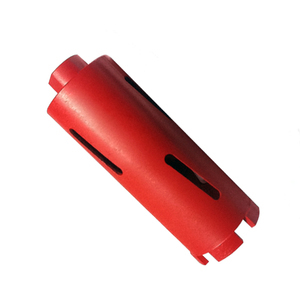 Core drill bits segments cuts through surfaces in a circle and creates a hole. 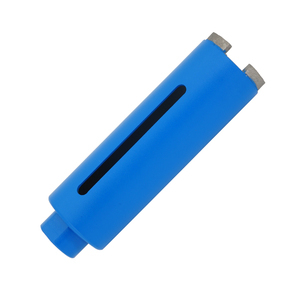 What is the minimum quantity we should buy9 For concrete diamond core bits, 1pcs. 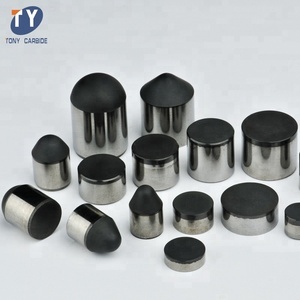 Danyang Tiancheng Tools Manufacture Co., Ltd.
Shanghai Roblion Diamond Tool Manufacturing Co., Ltd.
Fujian Quanzhou New Wanlong Stone Co., Ltd.
Wanlong is a group company with strength comes from full prodcution line as: Diamond tools, stone machinery, stone panel, PDC cutters for oil /gas drilling and Quarring. 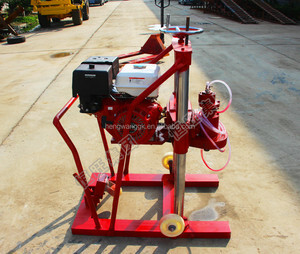 13, Zhitai Road, Economic & Technology Development Zone, Quanzhou City, Fujian Province, China Factory 2: No. 3, Zhitai Road, Economic & Technology Development Zone, Quanzhou City, Fujian Province, China No. Talentool (Shanghai) Diamond Manufacture Co., Ltd.
Wuhan Likai Diamond Products Co., Ltd.
Danyang Honest Tools Co., Ltd.
T saw blade for wood,T.C. T saw blade for aluminium,T.C. T saw blade for metal. 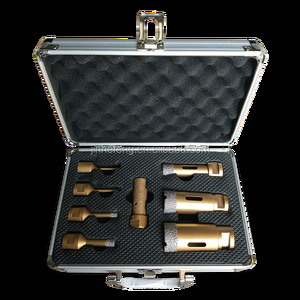 Alibaba.com offers 32,882 diamond core drill products. About 56% of these are drill bit, 1% are drilling machines. 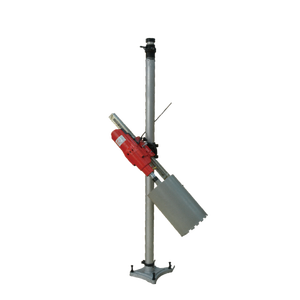 A wide variety of diamond core drill options are available to you, such as free samples, paid samples. 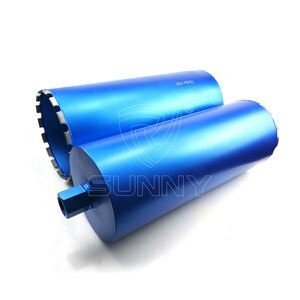 There are 32,667 diamond core drill suppliers, mainly located in Asia. 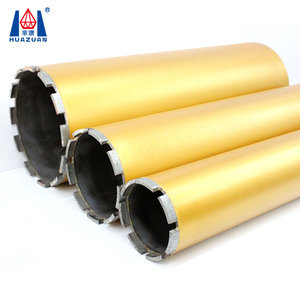 The top supplying countries are China (Mainland), India, and Japan, which supply 98%, 1%, and 1% of diamond core drill respectively. 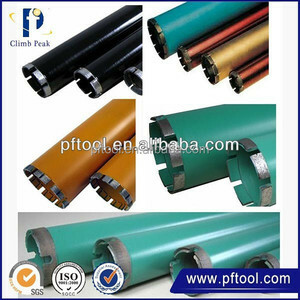 Diamond core drill products are most popular in North America, Domestic Market, and Mid East. You can ensure product safety by selecting from certified suppliers, including 12,399 with ISO9001, 3,894 with Other, and 803 with ISO14001 certification.